What do you buy a geography teacher for Christmas? Geography teachers are amazing creatures. They are talented, intelligent, attractive and funny, so what do you buy the person who has everything? Worry not, we’ve put together a list of must-have gifts for the geography teacher in your life. What’s more, we’re offering you the opportunity to win some of our featured gifts. More on this below! The gift of rest and relaxation is hard to beat, but a stay at Tan Hill Inn, Great Britain’s highest inn, is unbeatable. With an open fire and a warm welcome throughout the year, a stay at Tan Hill is a memorable event. The World Famous Tan Hill Inn is situated in The Yorkshire Dales, in Swaledale, just near Keld. With its real ales and great food, Tan Hill is the place to stay. Buying vouchers for Tan Hill Inn is a great way to treat the geography teacher in your life. If you time your visit right you might even get snowed in! The gorge walk (shown above) is an amazing experience. For the more conservative geography teacher, it’s well worth a visit to walk through the gorge and visit the caves. You can book the activities and buy gift vouchers online. It’s a fantastic day out, with a great team in a beautiful location. We love it! If your budget is tight you could consider a Great British Adventure Map. Another great Christmas present for the geography teacher in your life has to be a drone. If your budget is tight considered a tello drone or if you want to splash the cash consider a DJI Mavic Pro. Cheap, cheerful and guaranteed to keep them occupied, the new Ordnance Survey Puzzle Book will keep them quiet during the festive period. For the more creative geography teacher treat them to an OS map colouring book. If you need to, throw in some colouring pencils. Just make sure they don’t go over the lines and the shading is in one direction. A subscription to OS Maps will win the heart of the geography teacher who loves the great outdoors. They can plan routes online, check them out in 3D and use their mobile phones to stay on the right path in the great outdoors. Of course, don’t bother if you’re after losing them! Find out more about OS Maps online subscription. 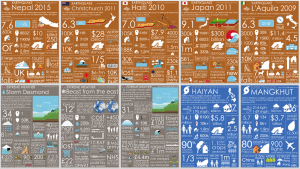 We’ve compiled a list of books that should be on every geography teacher’s bookshelf. Take a look at our favourite reads. The Ordnance Survey offers a personalised map service. Focus on their favourite area or create a unique gift with folded, flat or framed maps. Show the instantly recognisable style of the OS Explorer and OS Landranger leisure maps. What more could the gin-loving geography teacher want? Yes, you guessed it, more gin! Mother’s ruin will help them plough through marking on an evening. Take a look at these craft gins. Let them travel the world with their taste buds. Beer Hawk has put together a great collection of world beers. Staying closer to home you won’t go wrong with Marston’s classic ales. It sounds obvious but why not go for a light up globe? Alternatively, this floating globe with LED lights is pretty impressive. Ok, walking jackets are a lot more sophisticated now than they were in the past. Why not look after them and keep them warm with an insulated coat or dry with a waterproof jacket. will get them turning heads (sorry, that was shocking). A VR headset combined with a smart phone and Google Earth VR puts the whole world within their reach. We’ve partnered up with Tan Hill Inn, How Stean Gorge and The Ordnance Survey, to offer you the opportunity to win some of the gifts featured in our Christmas List. At the beginning of December, we’ll be sharing our 2018 Christmas Quiz. To be entered into the prize draw all you need to do is submit a question for the quiz. Even if you don’t win the main prize you will receive a free copy of our 2018 Christmas quiz so you’ve nothing to lose! The competition is open to all residents of the UK, including the Channel Islands and the Isle of Man, except Internet Geography employees, their close relatives and anyone connected with the competition. Proof of identity, age and eligibility may be required. Competition entries will only be accepted between 11th November 2018 and 30th November 2018. If you enter the competition you will receive a copy of the Internet Geography 2018 Christmas quiz for free. The competition winner will be selected at random on 1st December 2018. The prize is stated as above. There is no cash alternative and the prizes cannot be sold or transferred in any circumstances. Internet Geography’s decision as to entrants taking part and winners is final. No correspondence relating to the competition will be entered into. Entrants agree to take part in any post-competition publicity. The name of the winner will be made public. Your personal data will be processed by the Internet Geography in accordance with the Data Protection Act 1998. We will only use this personal information for the purposes of administering this competition. The personal information of unsuccessful entrants will be destroyed after the competition has finished. We will collect further personal information from the winner in order to provide the prizes. By agreeing to be added to the Internet Geography mailing list your details will be kept secure via our mailing list provider Mail Chimp. You can unsubscribe from this at anytime via the mailing list emails we send. By purchasing items using the links below Internet Geography may earn a small commision based on the sale. This goes towards the development of the site and supports running costs. https://www.internetgeography.net/wp-content/uploads/2018/11/What-do-you-buy-a-geography-teacher-for-Christmas.jpg 670 1200 Anthony Bennett https://www.internetgeography.net/wp-content/uploads/2018/01/logo_retina_b793cc62f67fec3512c47e1378dfd673.png Anthony Bennett2018-11-11 19:41:542018-11-11 21:39:08What do you buy a geography teacher for Christmas?